Under your dock is a great place to mitigate for loss of habitat, or to restore the habitat loss during to development. Reef Innovations with the use of Reef Balls has been a leader in promoting governments and homeowners creating habitats under their dock with Reef Balls. Don’t dream up a new idea, the Army Corp of Engineers is already accepting Reef Ball Habitats as mitigation. The US Army Corps of Engineers has allowed under dock habitats as mitigation. 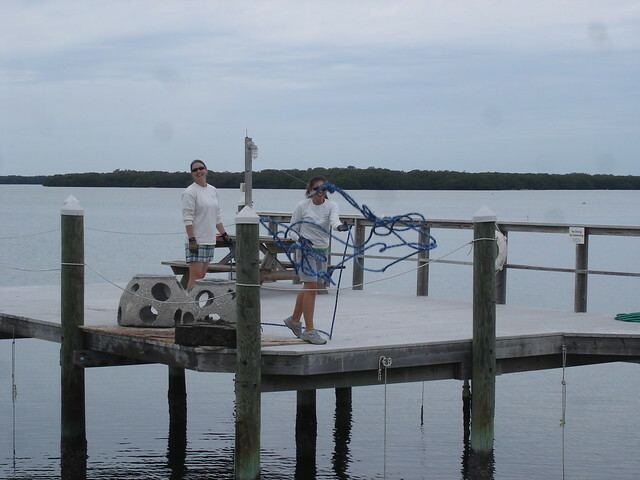 The Reef Balls can be lowered from the dock or with larger Reef Balls they can be floated into place. Don’t forget to plan your Under Dock Habitat as part of your Living Shoreline. Also, when building or upgrading the dock make sure you place a Reef Ball on each piling this will add to its resistance as well as creating habitat.